Find out which character, from everyone's favourite book and movie series you, are! 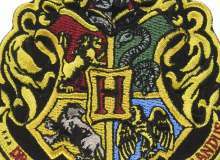 Could you be Harry Potter, Cedric Diggory, Michael Corner or Draco Malfoy? Find out with this fun quiz! Good luck getting your favourite! My favourite is Draco Malfoy, though Cedric Diggory, Harry Potter or Michael Corner are pretty interesting characters! What would you most likely be doing during a Quidditch Game at Hogwarts? The TriWizard Tournament has came! What do you do? Put my name in that cup! Which Deathly Hallow would you most want to have? You see a Harry Potter meme video online. What do you do? What's your favourite position in quidditch? Another quiz is coming from me- will you play it? Quiz topic: What Male Harry Potter Character am I ?